1. 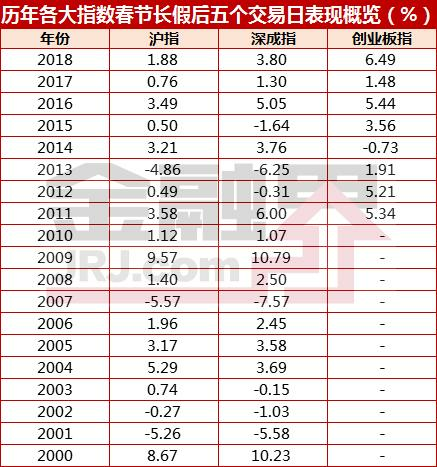 During the Spring Festival holiday period, major overseas stock indexes rose and fell; the global economy was expected to improve, and crude oil prices fell. Due to the sharp weakening of the euro, the US dollar index rose, and the price of gold fell. The prices of other metals were mixed. During the Spring Festival holiday, major overseas stock indexes were mixed, and investor risk appetite was mainly constrained by the expected weakening of the global economy.The European Commission, the European Central Bank Bulletin and the Bank of England both lowered their expectations for the EU region and their economic growth on February 7. In addition, the anxiety about the UK's hard Brexit also pressured European stocks. During the Spring Festival, the European equity market fell, Germany. The DAX index and the French CAC40 index fell 2.45% and 1.15% respectively. Due to concerns about weaker demand for crude oil, ICE oil prices fell 1.24% during the period. On February 5th, US President Trump delivered a State of the Union speech. In his speech, Trump urged the two parties to reach an agreement on border security, calling on Congress to pay attention to tariff legislation and announce the meeting time of the special fund (February 27-28). At the same time, he said that he is ready for bipartisan cooperation. Since Trump did not declare the country into a state of emergency due to the deadlock of the 5.7 billion border wall, and the tone was largely moderated, the speech had a certain boost to the US dollar, and the weakening of the euro also supported the US dollar index. During the US dollar index, it rose by 1.08%, while the COMEX gold price period was -0.29%.The Fed’s “pigeon” is still loud, and when it is released, the clear stop of the interest rate hike is still the main point.US St. Louis Fed President Bullard (with voting rights in 2019) said on February 8 that "the Fed should revisit the dot matrix and rethink forward-looking guidance. I hope the Fed can decide on the final balance sheet size in future meetings." ". In addition, Trump's banquet for Fed Chairman Powell also left a certain room for imagination. Subsequent overseas market focus: 1) Whether the US government will reopen the door on February 15; 2) The Federal Reserve announced the minutes of the January monetary policy meeting on February 21; 3) On February 26, Fed Chairman Powell gave testimony to the economy, 4) Progress in Sino-US trade negotiations at the end of the month. Second, Sino-US trade negotiations have "one wave and three folds", and finally come to an end with "China and the United States reached a phased agreement"
China’s Ministry of Commerce recently stated that “Chinese Vice Premier and Liu He, the Chinese leader of the China-US Comprehensive Economic Dialogue, will be in Beijing from February 14th to 15th, and will hold a new round with US Trade Representative Wright Heze and Finance Minister Mnuchin. The US-China high-level economic and trade consultations will be further discussed in depth on the basis of the recent Washington consultations. The US team will arrive in Beijing on February 11. US President Trump and Chinese President Xi Jinping decided to suspend tariff increases during their meeting in Argentina last December and worked hard to reach an agreement during the 90-day trade consultation period, which will be closed on March 1. Judging from the current expressions of the Sino-US negotiating delegation, the Sino-US trade negotiations are developing on a positive side. China increases purchase of US qualityAgricultural productsAnd energy is also conducive to meeting the needs of the people to raise consumption standards. The US is also conducting more active guidance on public opinion. Such development of the situation is beneficial to the final agreement between the two parties. The leaders of China and the United States are sincere in their intention to reach a "phased agreement" between China and the United States before March 1. As for the difficult issues, the follow-up will continue, which means that the "distinct points in Sino-US trade" will be postponed. 3. After the Spring Festival, the market will usher in the “concentration of funds”, and the overall inter-bank funds will be sufficient. In January, the central bank released liquidity through a series of measures such as RRR cuts, inclusive financial downgrades, TMLF, treasury cash deposits, and reverse repurchase operations. Under the care of the central bank, interbank liquidity remained reasonably abundant.In the first week after the holiday, the open market will have trillions of funds due, a total of 680 billion yuan reverse repurchase expires, and another 393 billion yuan MLF expires, so the interbank funds after the Spring Festival is still expected to usher in the "concentration of funds" In the future, we need to pay attention to the credit situation and the payment of government bond issuance. These two aspects may have certain impact on the liquidity of the money market. 4. The central "two sessions" are convening, and "scientific and technological innovation" has become the main tone of the conference. In 2019, the central "two sessions" will be opened in Beijing in early March. The significance of the "two sessions" is to collect and organize the information and requirements of the "two sessions" representatives from the people and convey them to the relevant decision-making departments, which plays a vital role in the economic decision-making of the year.According to the relevant proposals in the local "two sessions" held in 2019, "scientific and technological innovation, economic restructuring" has become the main topic of "two sessions" in various localities.The relevant proposals in the local "two sessions" have become the main guiding targets of the "two sessions" of the central government. During the "two sessions" in March this year, Premier Li Keqiang will do a 2019 government work report.In the "Science and Technology Innovation" chapter, we expect that "artificial intelligence, industrial Internet, Internet of Things, cloud computing, 5G, high-end manufacturing, new energy, science and technology board" will become the main direction of this year's government work report. Standing at the current position of the Shanghai Composite Index at 2,618 points, we are inclined to continue the A-share “inciting market”, but the process of index operation may be relatively tortuous, and the index will pick up the “two sessions” in advance. The high level is subject to the decline of fundamentals (corporate profit). In investment strategy, we do not recommend chasing up and increasing positions when the index is high.Specifically, the factors that can gradually boost the market risk appetite in the following stages: 1) Sino-US trade negotiations are expected to be phased out; 2) the Fed is still “pigeon”, and the market is concerned about when the Fed stops raising interest rates; 3) 2 In the month, the inter-bank funds were abundant; 4) The “Central Committee” was convened, and the expected growth of “stable growth and strong reform”. At the same time, in the stage of the above-mentioned events to boost risk appetite, corporate earnings decline (economic fundamentals are colder) will become a constraint for the A-share index to break through. In terms of industry (individual stocks) allocation, considering that the market share of the current A-shares in most areas has not changed, the leading stocks of large-cap stocks will still show excess returns. In the industry, we still promote foreign investment.“Big Finance (Banks, Brokers, Insurance)”Sector, followed by the loss of coal prices"Thermal power"Sector, hedging the “equipment” category of the economy, such as"Electrical equipment, communication"Wait. In addition to the theme investment, we mainly push"Artificial Intelligence, 5G Industry Chain, New Energy, Venture Capital"Wait. Focus on Gold Analyst | In January, the net inflow of funds to the north reached a new high, and the “two sessions” market was advanced? CITIC Securities: The Shanghai Composite Index is expected to hit 3,000 points in the short term. The rebound is expected to continue until around the two sessions.